A flying and stinging insect, the wasp is a fearsome predator for its fellow insects. Many pests such as flies, ants, caterpillars, sawflies, and scale are prey for wasps, making wasps very useful in controlling their populations. Members of the aculeate (meaning, having a stinger or barb) family Vespidae, wasps are related to ants and bees. In fact, one so-called ant, the velvet ant, is actually a wingless wasp. Male velvet ants can fly, but the females have no wings. Body length is approximately 1/2" to 3/4"
Most often have a long, slender connection between the abdomen and the thorax. Wasps are usually parasitic as larvae. There are three main types of wasp: parasitic wasps, solitary hunting wasps and social wasps. Parasitic wasps (Braconidae and Ichneumonidae) lay their larvae in or on the bodies of other insects, which may range from aphids to beetles or caterpillars. The larvae feed on the host body of the insect. Most parasitic wasps eventually kill their host insect; those that do are called parasitoids. Parasitic females have long ovipositors, used to lay eggs in host creatures. They are less equipped to sting than other types of wasps. Adults do not eat the insects they hunt, using them mostly to host their larvae. The adults may consume nectar collected from flowers, much like bees. Life Cycle of a Parasitic Wasp -- May vary greatly from species to species. Larvae usually develop in the host insect, consuming it as they grow. Eventually they emerge, and may undergo another transformational cycle, such as cocooning, before adulthood. Some varieties of wasp pupate inside their host and come out already winged, and ready to fly. The females mate, and then look for suitable hosts for their eggs. Interestingly, females are born from fertilized wasp eggs, whereas males are born from eggs unfertilized. Solitary hunting wasps (Sphecidae and Pompilidae) usually bring their prey, paralyzed, back to their hives for their offspring. The female finds a host insect, paralyzes it and then seals its body inside the nest cell with an egg that she lays. The nest may be a mud cell, a nest in the soil or a hollowed out plant. Sphecidae are often called mud-daubber wasps; Pompilidae wasps are known as spider wasps, hunting spiders exclusively. The spiders they capture and insert into their nest will live until the wasp larvae have hatched and begin to consume them. Adults consume nectar. Pompilid wasps are known to have a very painful sting. One of the largest solitary hunting wasps is called the cicada killer -- it hunts exclusively for cicadas. Life Cycle of a Solitary Hunting Wasp -- The female mates and then either makes a nest or lays an egg into her prey right where it was killed, often in a muddy area or burrow. Those that make nests will lay an egg in a cell and deposit a paralyzed insect into it before sealing it up. The egg matures, and the larvae consumes the insect before pupating, then emerges to mate and continue the cycle. Example of social wasp colony nest. Social wasps (Vespidae) travel in groups and form colonies. Yellow jackets, hornets and umbrella wasps are some common kinds of social wasps. Wasps in this group make their nests from “paper” produced by the wasps from plant and wood fibers and saliva. The most common social wasps are yellow jackets. They are also responsible for most sting incidents. They are aggressive in defending their nests, especially in late August and early September, when males may be competing to fertilize the queen. The yellow jackets conceal their paper nests in private areas such as old rodent burrows, inside equipment, or inside a wall or eave. Yellow jackets will feed on some insects, but they also scavenge for sweets and protein-rich foods such as carrion. Open garbage cans and picnic lunches are also popular scavenging areas for wasps. Most adult yellow jackets do not actually eat the insects that they prey on, but bring them back to the nest as food for larvae. Adults consume secretions produced by the larvae. Hornets are really just big social wasps. Their paper nests are shaped like a large teardrop or football. Their nests are often built in trees, bushes or under an eave. Hornets feed mostly on other insects, such as bees. They will chew up their prey and feed the larvae the paste. They are fairly common, but not as often involved in stinging incidents as yellow jackets perhaps because they are not common around trash or picnic areas. Paper wasps, also called umbrella wasps, make paper nests as well. Their nests are more cellular in structure and not covered by an exterior envelope. They prey on insects to feed their young. The umbrella wasp also stings when defending the nest. The fertilized queen wasp emerges from hibernation around April, and seeks out a new location for her nest. She builds a small nest, and then lays eggs from stored sperm, producing female worker bees to help her continue to build. The queen continues laying worker bee eggs from the stored sperm throughout the summer, increasing her colony’s physical size, and its population. Up to this point, the wasps are not very aggressive in defense of their nest. The colony’s population may now number in the thousands. Once the nest is built, in late summer, the queen begins to run low on stored sperm, and lays different kinds of eggs, producing fertile male wasps and fertile new queens. The fertile males, or drones, fly away from the nest looking for unrelated fertile queens to impregnate, whereas the new queens will stay nearby, leaving to hibernate elsewhere only after the worker wasps, and the founding queen begin to die. The males die off after mating. The new queens store the sperm they have collected from mating with males, but won’t lay eggs until the following spring and summer. They will use that sperm throughout the next summer. The males and unmated females in the colony die off in the fall. Once this happens the fertilized females will go into hibernation and emerge the following spring as queens in search of a new nest site. Nests are never used more than one season. The queens usually live about one year. Female worker bees (sterile) live from 12- 22 days and males live a little longer. Their Sting . . .
Wasps do not leave their stingers in you when you are stung. They can sting repeatedly without dying, unlike bees. Their sting is often painful -- the Pompilid wasps are known to have the most painful one. Only female wasps can sting as the stinger and venom are part of the female’s reproductive system. Parasitic wasps generally do not sting. Their ovipositors are more specialized for penetrating a host’s body and depositing eggs, though they can sting if handled. Social wasps such as yellow jackets, hornets and paper wasps are more commonly the source of sting occurrences in humans. The venom of the wasp contains several toxins. Protein is the main ingredient and is the element that causes allergic reactions in some people. There is also an acetylcholine-like substance, histamine, serotonin and kinin. Many wasp encounters and stings are from social wasps defending their nest areas. Some sting incidents occur from accidental encounters with wasps scavenging lunches or sweet drinks on picnic tables. Click here to find out how to treat a wasp sting. Most wasps are categorized as either social or solitary. The solitary adult wasps travel and feed alone. They do not live in groups. They are also fertile. Social wasps live in large groups that make nests. Some of the members of the social group are sterile and some are fertile. In most cases only the queen and male wasps can mate, until late summer when more fertile females are born. Nests can be burrows in the ground, mud cavities or teardrop-shaped balls made up of paper and other fibers. The nests are built under eaves, in trees or attached to buildings. Almost all species of wasp are terrestrial, while a very few are aquatic. There are many animals and insects known to prey on wasps. Dragonflies, robber flies, hornets, centipedes and spiders prey on wasps. A number of birds eat wasps, including blackbirds, magpies and starlings. Badgers, weasels and mice will disturb wasp nests to feed on the brood-filled comb inside. Farmers sometimes use wasps to control pest insects on their crops. Wasps are necessary and very beneficial in the natural environment to biocontrol other insect populations. Wasps don’t lose their stinger when they sting and can sting repeatedly. A wasp can beat its wings approx, 117 to 247 beats per second. Watch a video of the tarantula hawk, a member of the wasp family that preys on tarantulas. The information provided on this web site and by this web site through content provided by Authors or third party providers, and in other sources to which it refers, is PROVIDED FOR INFORMATIONAL PURPOSES ONLY and should not be used to diagnose or treat a health problem or disease. Information provided at and by DesertUSA is NOT A SUBSTITUTE FOR PROFESSIONAL MEDICAL CARE. If you have a medical concern, or suspect you have a health problem you should consult your primary doctor or specialist. If you cannot agree to this Health and Medical Disclaimer, you are not permitted to use this web site and should exit immediately. 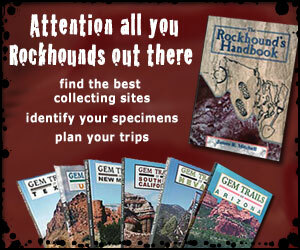 DesertUSA is a comprehensive resource about the North American deserts and Southwest destinations. Learn about desert biomes while you discover how desert plants and animals learn to adapt to the harsh desert environment. Study desert landscapes and how the geologic features unique to the desert regions are formed. 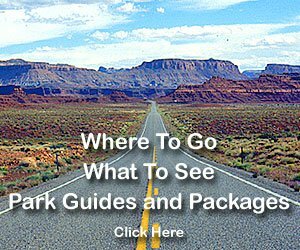 Find travel information about national parks, state parks, BLM land, and Southwest cities and towns located in or near the desert regions of the United States. Access maps and information about the Sonoran Desert, Mojave Desert, Great Basin Desert, and Chihuahuan Desert, which lie in the geographic regions of Arizona, California, New Mexico, Nevada, Texas, and Utah in the United States and into Mexico. Despite its pussycat appearance when seen in repose, the bobcat is quite fierce and is equipped to kill animals as large as deer. However, food habit studies have shown bobcats subsist on a diet of rabbits, ground squirrels, mice, pocket gophers and wood rats. Join us as we watch this sleepy bobcat show his teeth. The ferret - slender, slinky, swift and agile - bears a Zorro-like mask across its eyes. It most likely emigrated from Siberia to the Americas across the Bering Strait land bridge early in the Ice Ages, and established itself as a fearful nighttime presence in the prairie dog towns of the Great Plains.